The Southlake Regional produced some surprising results this year when Flower Mound's winning streak was broken by Hebron. Despite FloMo winning and sweeping captions in prelims, they were only able to tie in the GE caption during finals. Hebron also tied in GE and won outright the music and visual captions. It's certainly not a sign that Flower Mound is having a weak year, but rather that Hebron is having another really strong year. 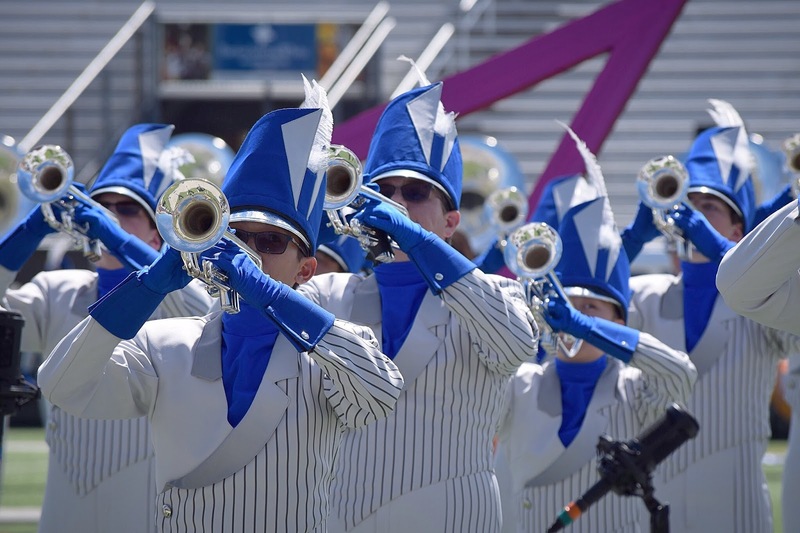 Since it's still so early in the season, both bands have a lot of room to grow over the season and either is in the running for the champion title at San Antonio. LD Bell, Keller, and Vista Ridge also increased their placements rather significantly after placing in the top half at Southlake. Both LD Bell and Vista Ridge were previously listed in the Next 10. Next 10, in alphabetical order: Ayala (CA), Dripping Springs (TX), Franklin (TN), Harrison (GA), James Bowie (TX), Keller Central (TX), Lockport Township (IL), North Hardin (KY), O'Fallon Township (IL), and Park Vista (FL).